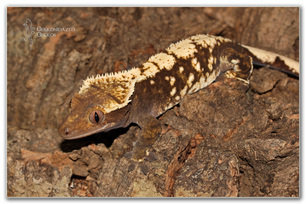 All of our geckos have been paired up and are breeding for the 2012 season. Inoki is from our 2010 pairing of Akua and Namus. Namus is a blonde flame male that we picked up at a Tinley Park NARBC from someone who is now out of business. Akua is directly from Repashy. 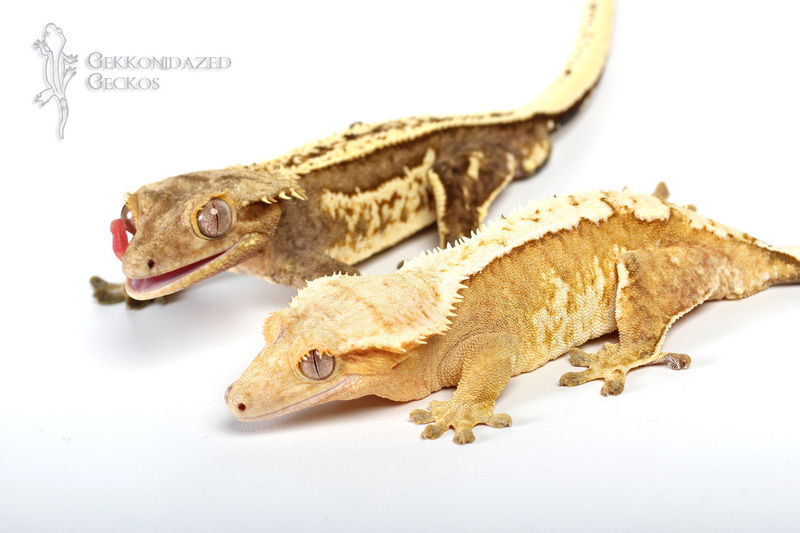 The pair of Inoki and Aquila should produce some really beautiful light and cream harlequins. 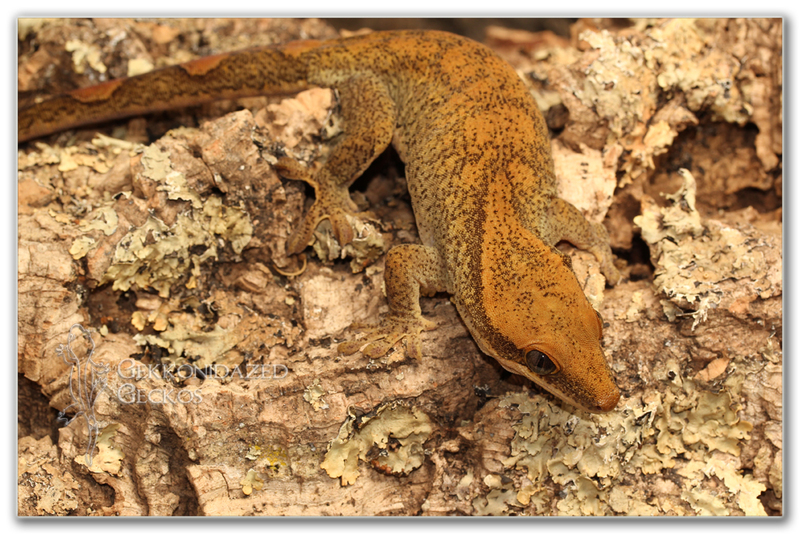 Aquila was produced by LAC Herps out of Lellarap and Nilla. 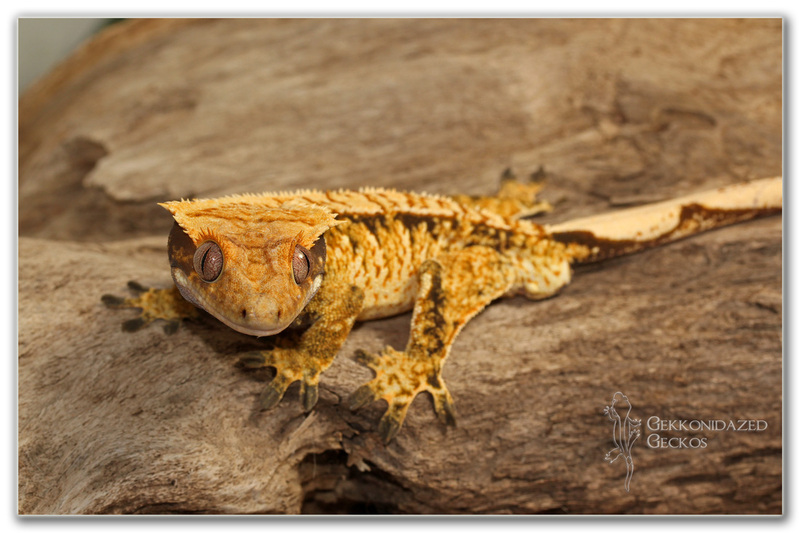 Nilla has always been one of my all time favorite geckos. Whenever we visit Andrew and Sarah, I always ask to see her. This girl looks so much like her mom, but with her dad's pinstriping. Epic is on breeder loan from Andrew and Sarah Gilpin of L.A.C. Herps. She was produced by Matt at Pangea Reptile. We are hoping for some high patterned, funky offspring from her and Inoki. 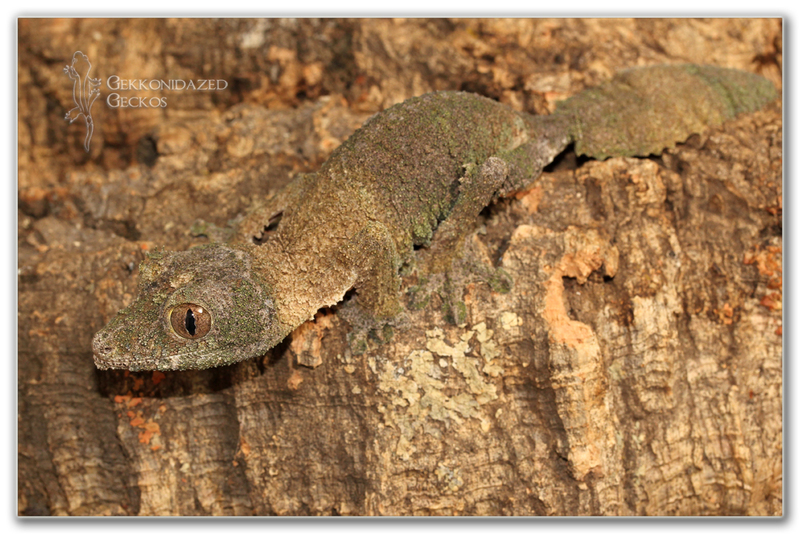 We are going to repeat this pairing again this year, since all six of the geckos we got last year were nothing short of stellar. I'm interested to see if we get more phantom pinstripes next time around; last year they gave us two of them. Akua will be with the Gilpins for the 2012 season for breeding. 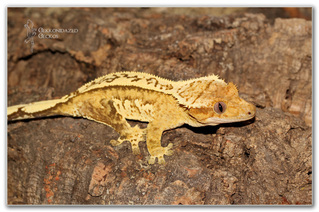 Molokai is a red/orange and cream dalmation that we purchased from our friend John Christensen of Jasper Sailfin Geckos. This will be his first breeding season, but we hope it's a good one with Tezya and Tiegra. Tezya is a nice yellow pinstripe from Gary Hamann of Ridge and Valley Reptiles. She has produced high percentage pinstripe offspring for the past couple of years, and we're hoping that she does so again except more with Molokai's coloration. Tiegra is a yellow tiger that we purchased from Terri Kane a couple of years ago. She produced some nice harlequin partial pinstripes with Teregus last season, but this year she is going with Molokai to see what happens. Mushu was produced by us a few years back. He is out of Arcas, our original "blonde" male. The light yellow and dark based harlequin patterning has been transferring nicely to the offspring, so he is once again being bred with Athena. We are hoping for more extreme harlies like Alice. All of the hatchlings from last season impressed us, and it should be a good season once again. Our new proven male from Frank Fast that is F1. He will be paired with the following girls. We are hoping for some white collared offspring. The Sneetch is from Allen Repashy, and was born in 2008. We are hoping for some high colored offspring from her and Nicodemus. This is her second breeding season, she only gave us duds last year. 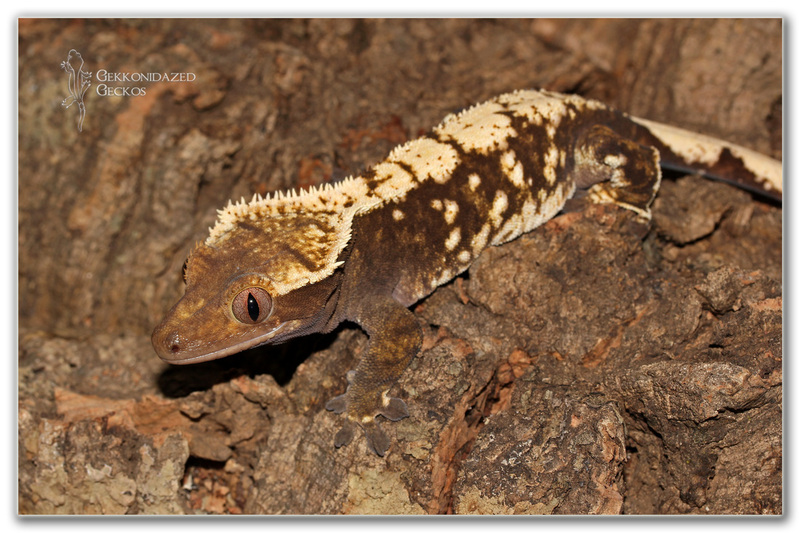 Persephone has come by way of Jennifer Kim, but was originally a gecko produced by Vicki Casella of Big Fat Geckos. This is her first breeding season. 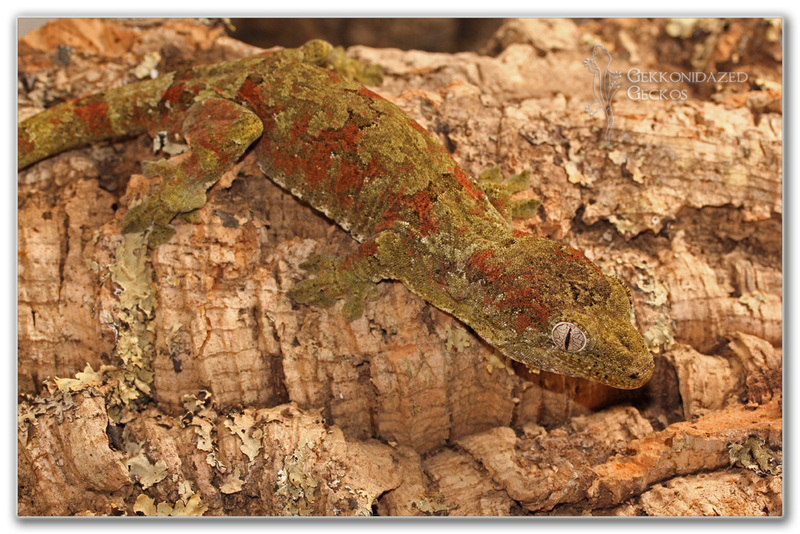 Loki is a really pretty green and red male that we got from Steve Cemelli of Leapin' Leachies about 5 years ago now. 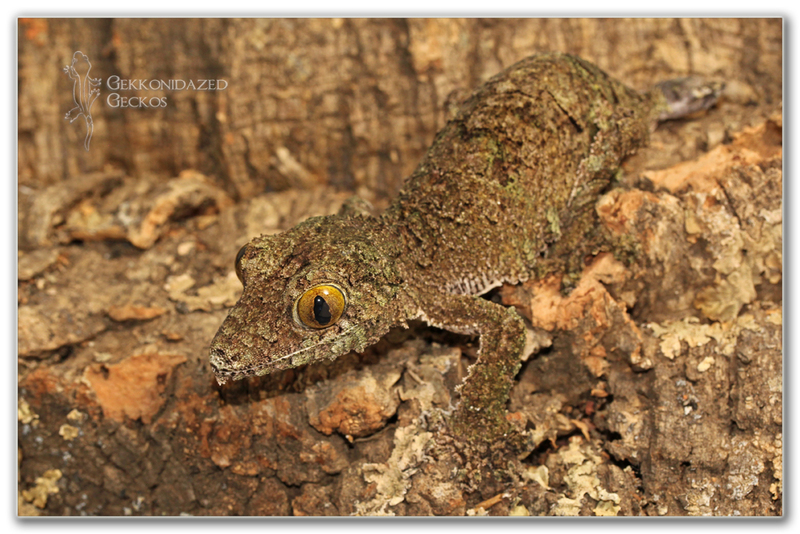 He was our first chahoua and has sired some beautiful offspring. 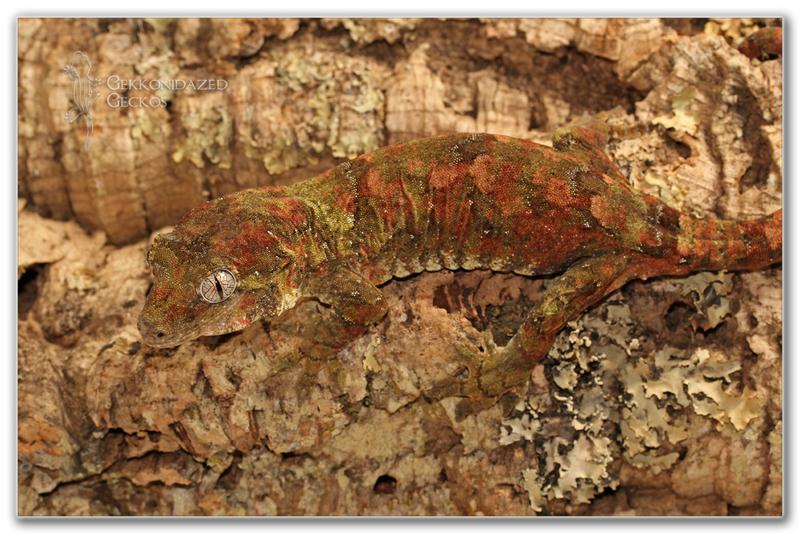 Chiusi is really neat chahoua whose color can only be described as water colored. Fired down, her colors are very pale and blend together in a unique way. 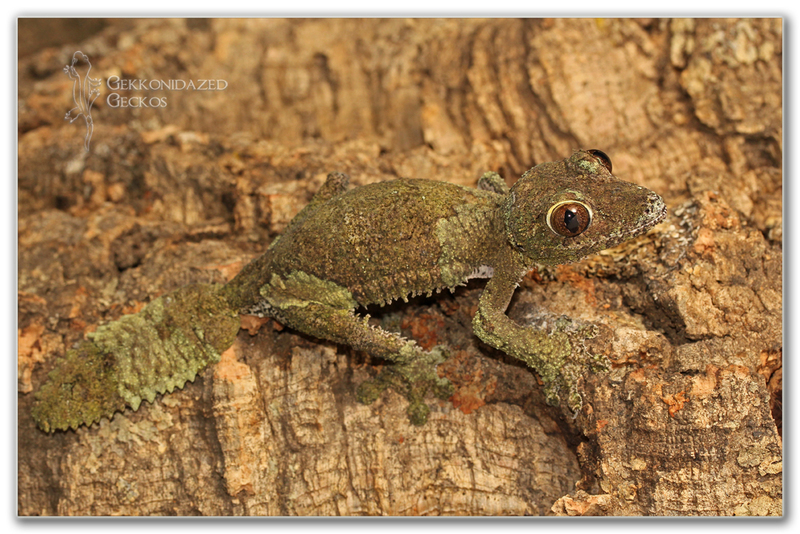 She's a very good natured chahoua, we sometimes take her to reptile shows for people to meet. Laila is a Repashy line female we picked up from Terri Kane a few years back. 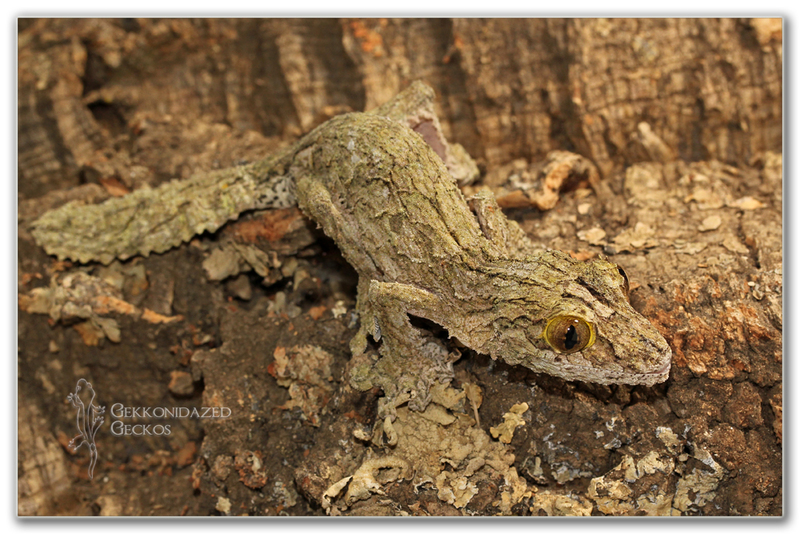 She is normally a green and grey coloration with some red flecking. 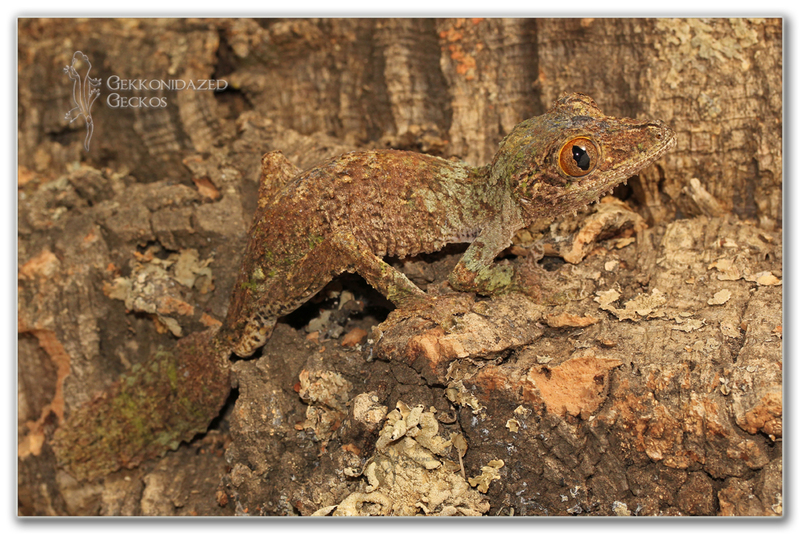 She has been our best producer out of our chahoua, and we hope we get some more beautiful healthy offspring out of her this season. Yelena is the female in our Isle E (Moro) pairing. This pair is roughly 6-7 years old. Last year we got two beautiful offspring from them, their first year in our care. She is around 130-140 grams. Yuri is the male of the pair and he won't let you forget it. 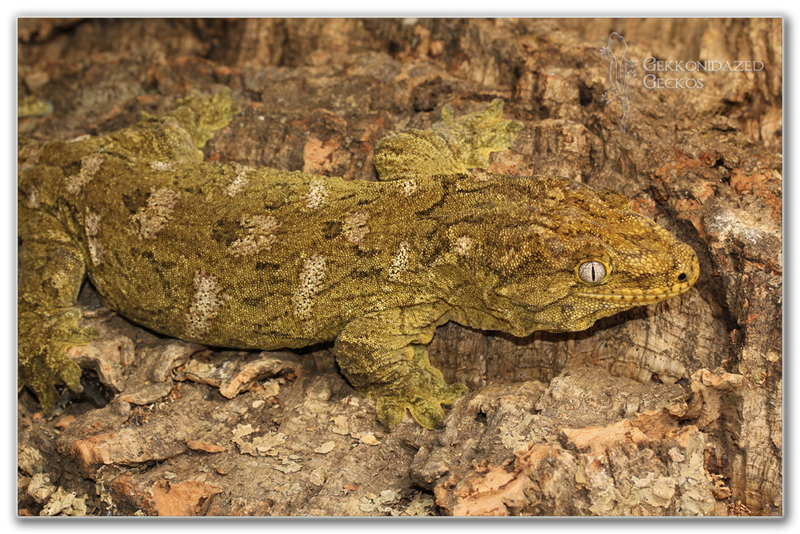 He is usually around 200 grams and very proud to be a leachianus with teeth. 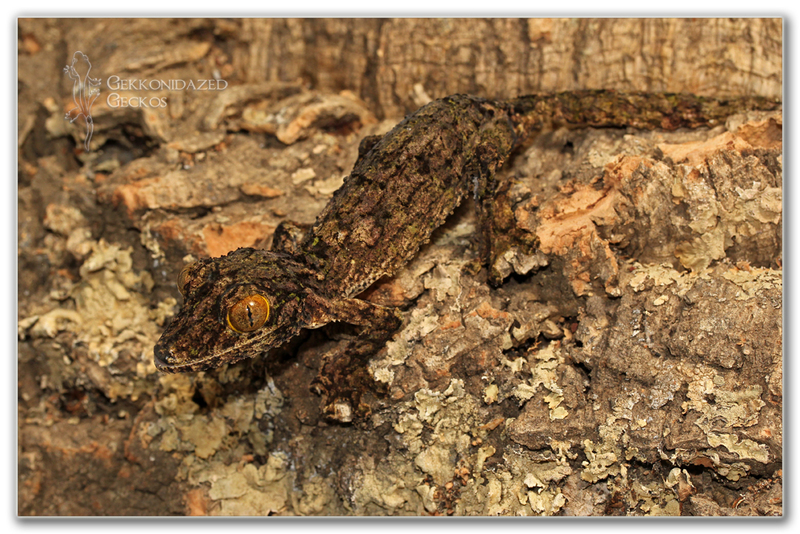 Temechi is an Island cross leachianus that originally came from Tamara Locke. Nobody is really sure of her crossing, but I thought I remember Isle E, Nuu Ana, and Nuu Ami crossed. It's hard to say without proper lineage information. **Tamechi surprised in April by reproducing via parthenogenesis. 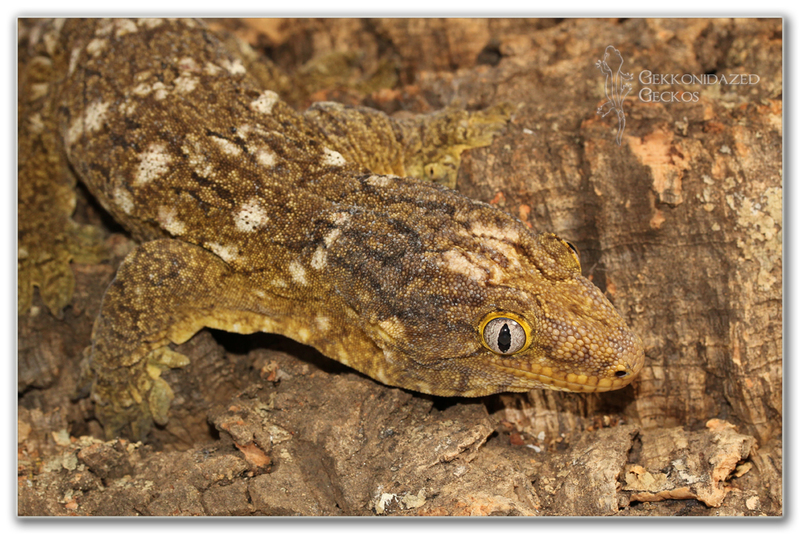 One of her eggs laid in January never went bad and hatched into a nice little leachianus. Tamechi was never put with Yuri, our Moro male, in fact they have never even been housed on the same side of the room. We have another egg from her that also looks like it could be fertile, so that's something to look forward to. 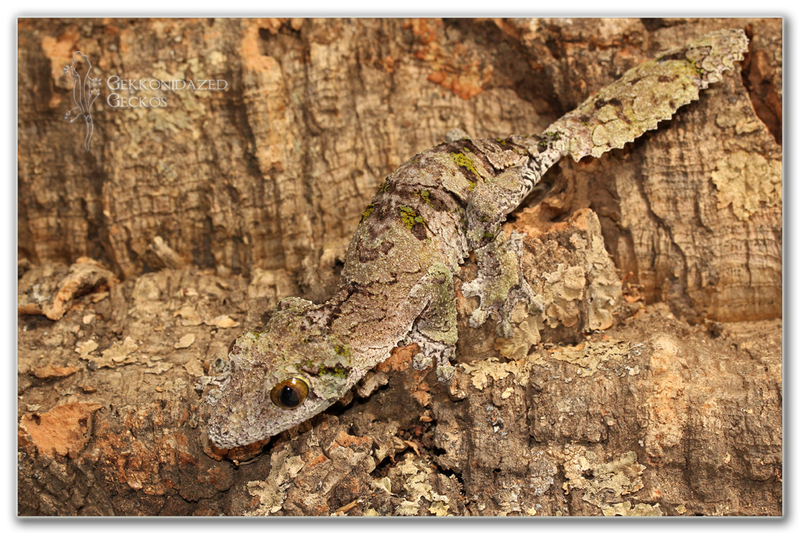 This is our lone adult female R.sarasinorum. 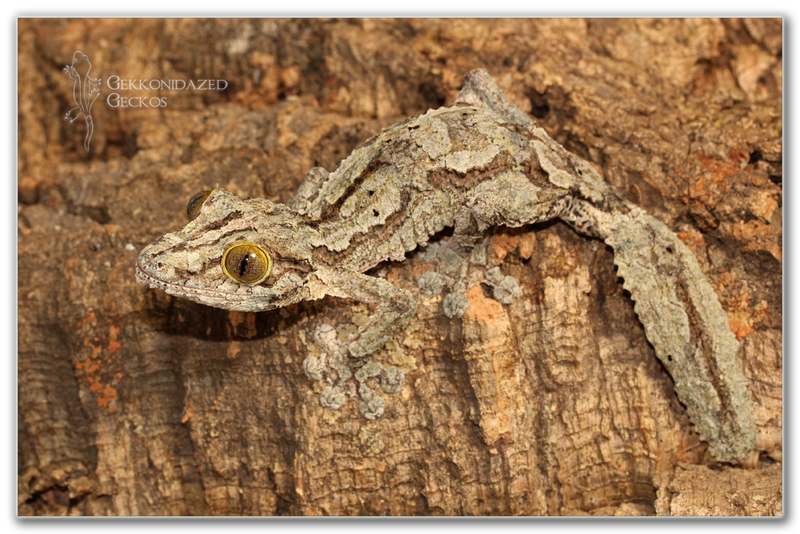 She is a girl we produced a couple of years ago from a Troeger line male and a Repashy line female. We are kind of kicking ourselves for selling off the rest of our sarasinorum last season, and putting ourselves in a spot by not having a male to mate with this one. This girl is on breeding loan with Andrew and Sarah Gilpin for the 2012 season. 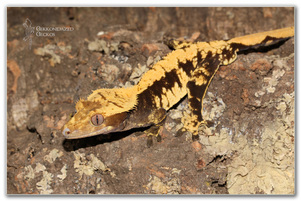 She will be matched up with a Repashy line spotted male. Hopefully we will get a good number of offspring out of the pairing. Hades is a smaller male that we purchased a few years back. He is Wild Caught, but was young when we first got him. 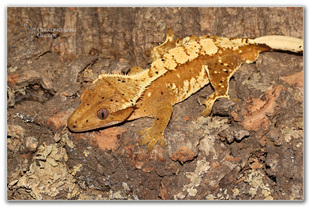 He is the father to our red striped hatchlings from last season, and we hope that he and Nyx can do the same this year. Perendi is a gorgeous young sikorae that we bought last year. She is a Wild Caught animal, but she was also young when we got her. 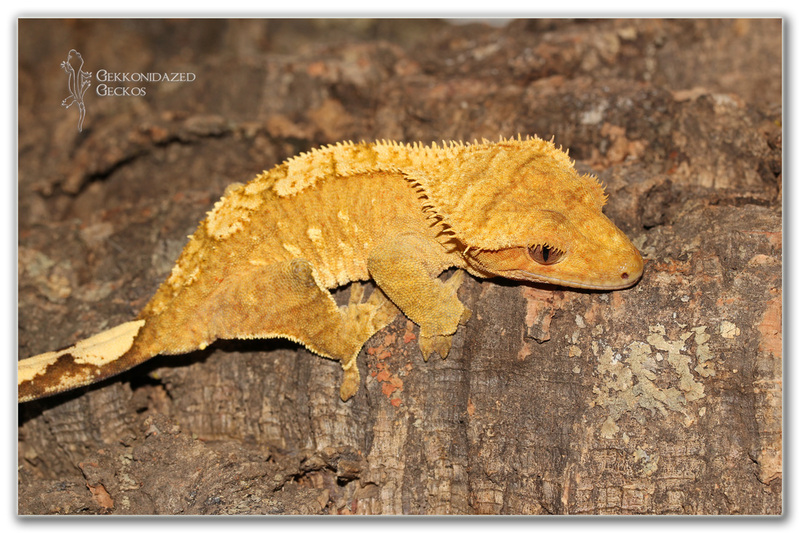 She is maybe 1.5 years old, and this will be her first breeding season. The photos don't show her best colors....her base color is a very pretty green color and her white patches are a nice mossy white. She is very healthy and we hope that she is a good egg producer. Nyx was our main breeding female last year. She produced 16 eggs for us, and had the best hatchlings out of our 3 females. She was the mother to some really nice red striped offspring, so hopefully she can do that again. 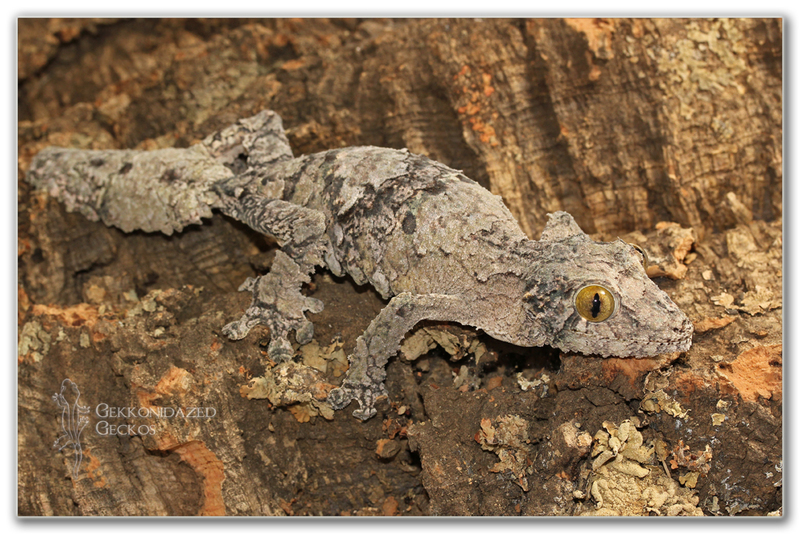 Her really light coloration with green moss spots is very pretty. She also shows a lot of light blue coloration...something you can't see the greatest unless you are seeing her for yourself. Cronus is a Wild Caught male that we bought from a friend about a year ago. This guy has been in the country at least 2 years, but nobody really knows his age. He is a light gray colored male with bold striping and some spotting. I'm curious to see if the spotting will come out in the offspring. Rhea is a Wild Caught girl that we got when we bought Cronus. 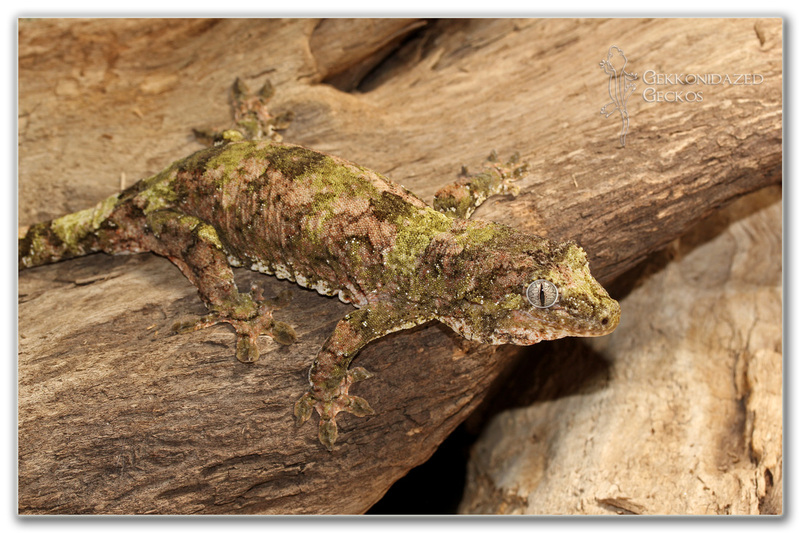 She is a pretty moss patterned gecko with green and gold coloration. She lost her tail last season by somehow getting it caught between two sticks in her enclosure. Despite the tail loss and apparent stress last season, she bounced back quite well and is a very bulky girl to start off this season. She is healthy and hopefully will produce a lot of eggs with Cronus. She laid 8 last season, but we didn't have much luck with them. Brynn is a new girl this season. She is an adult Wild Caught girl that was in the care of some of our friends. She is a proven individual...we actually own one of her offspring as well, Reese. Her "piebald" look will hopefully pass down to some future offspring. 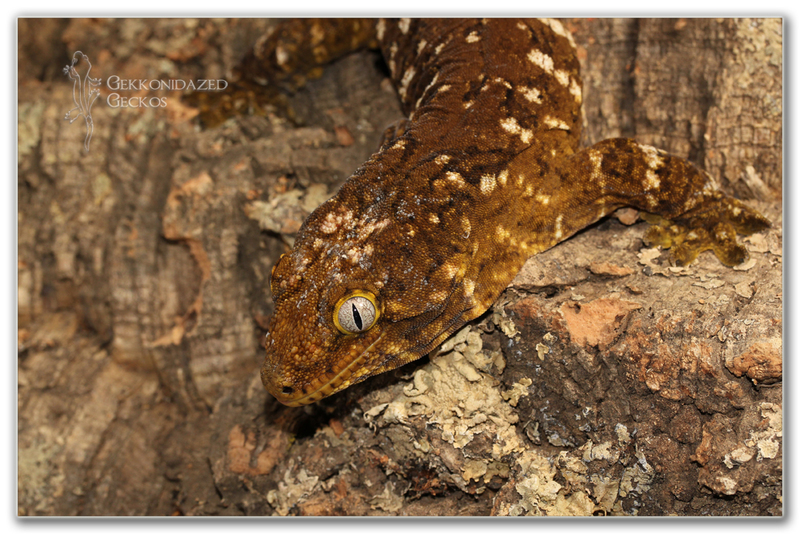 Anubis is a Wild Caught sameiti that we bought from Underground Reptiles. 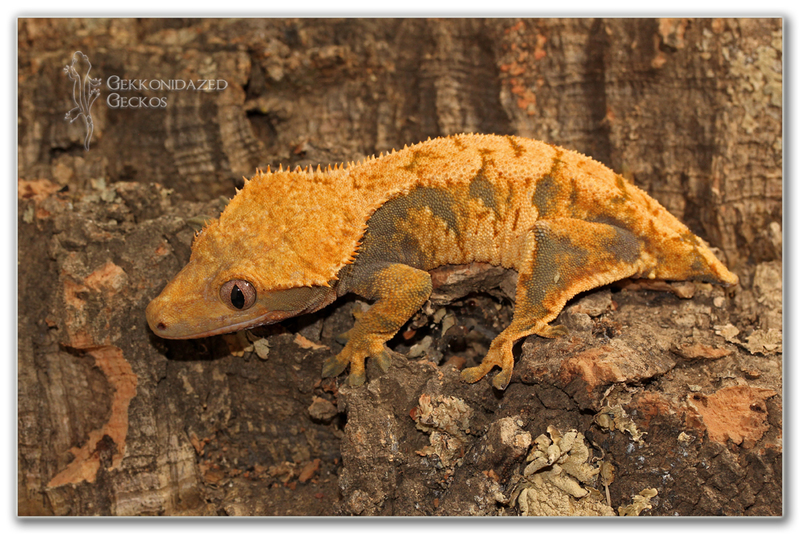 He has some really pretty orange-ish gold color with mossy white/green patches. He is truly a beautiful animal. 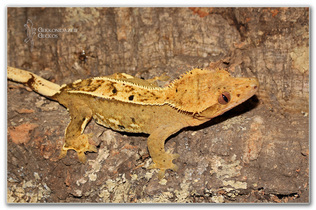 He will be one of the males with our lone female sameiti...hopefully having 2 males will ensure that she become gravid. We've had Isis for a very long time already...somewhere around 4 years now...and she has never produced anything for us. She quickly became obese, even without being fed a lot. We aren't sure if that is what is inhibiting her from being a productive female or not. She is Wild Caught, so nobody really knows how old she is. She is otherwise looking healthy with no other issues besides her weight. Hopefully this will be a good season and we can produce this subspecies. This is another Wild Caught male that we picked up a few years ago at a show. He has some really cryptic colors and patterns. He has been with Isis before, but never produced anything even though we witnessed them mating. We hope this season will be different. It's fairly impossible to get good photos of these guys because they are so fast and I can't get them out of the terrarium. Regardless, we still have our trio breeding this year and hope to have a lot more hatchlings this season. We produced maybe a dozen or so last year. We didn't have a problem hatching out the eggs, but we had problems keeping the hatchlings alive. We hope to change that this season and have a bunch to offer by fall.